Another update for the WhySoSerious site. 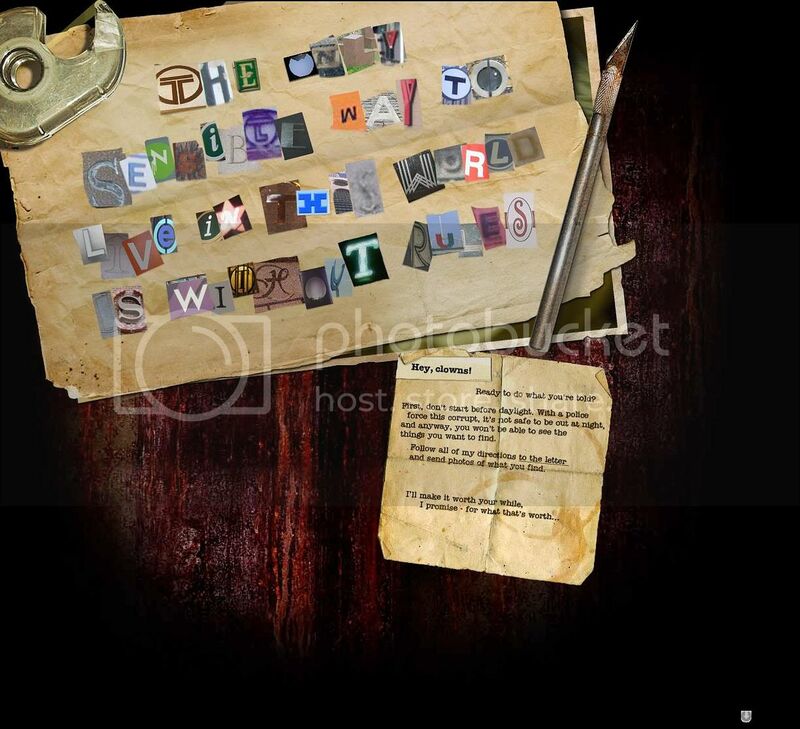 The puzzle is already cracked by several people who joined the hunt all over America. After gathering all the pieces this is what they've got. Its obviously a message from the Joker. 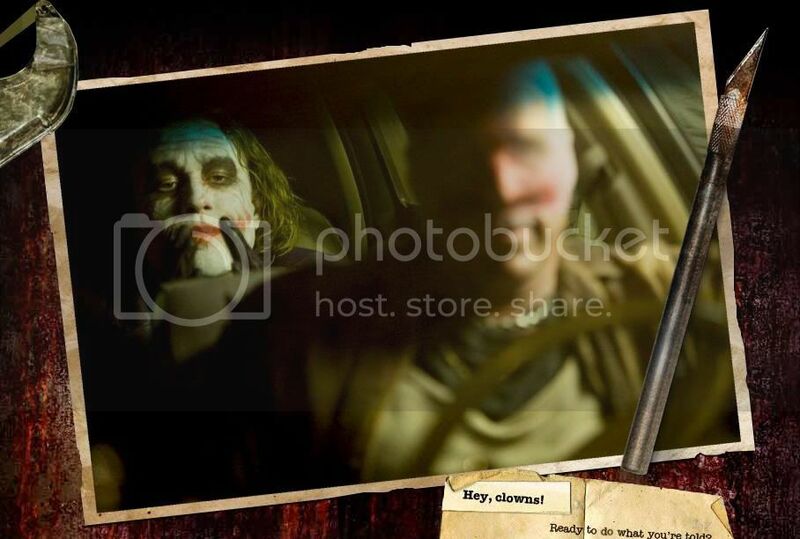 But it doesn't stop there, by clicking the knife on the right, the message will burn and it will reveal a creepy photo of Joker with a guy on the driver's seat. The guy is blurry but it shows that he has bandages in his face. Judging on the light placement, it seems that this guy could be none other than Harvey Dent aka Two Face. But for Batman Geeks out there, if we will gonna talk about a Batman foe with Bandages The Hush will gonna be on the top of the list. The fun is just starting. By clicking the photo, you will be redirected to another viral site called Rorry's Death Kiss. Here you will find another note from the Joker instructing everybody to take a photo of a crowd wearing a creepy Joker makeup. It seems that the Joker is getting so demanding this past few days. And right now, I hear the Joker laughing as we go insane over this movie. HAHAHahaHHAhaHAHhaHHAHAHhAHAH!! !